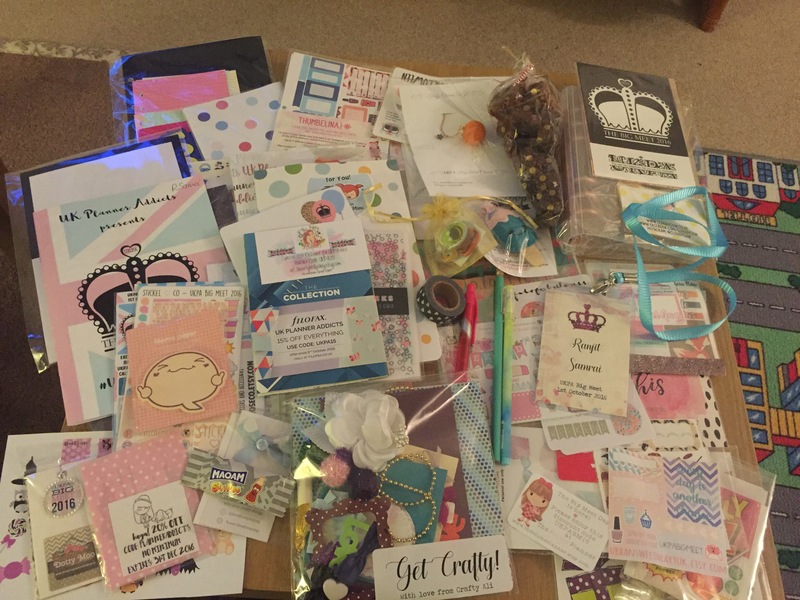 kraftykow – Stationary Addict, crafter, teacher & mum fitting it all in is what my blog is all about! Stationary Addict, crafter, teacher & mum fitting it all in is what my blog is all about! 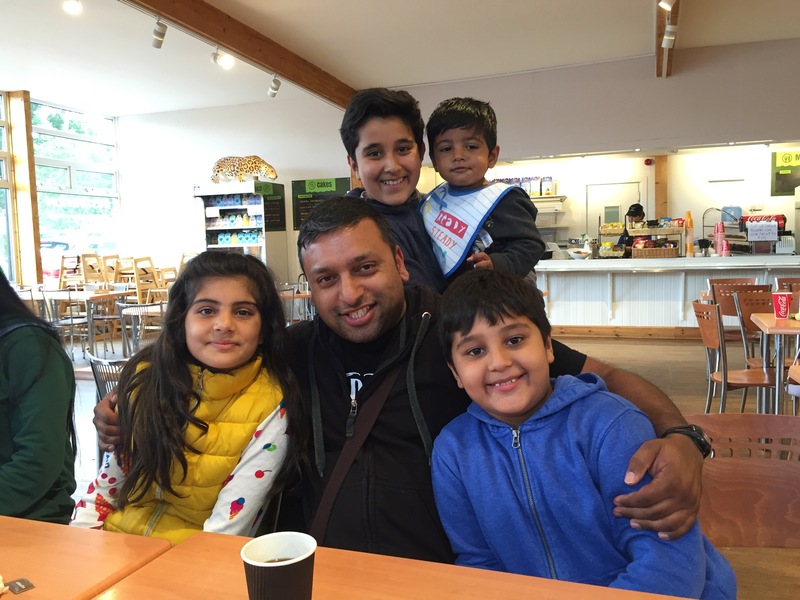 Its been a while since I wrote a blog and this has been for several reasons. All things craft came to a standstill once Easter arrives as it gets far too close for to the summer exams for me to focus on anything creative, but also the stress of the exams extracts any creative mojo I may have. As a Principal examiner I have a big responsibility to ensure the processes for each exam season is followed along with the quality assurance so the results have some validity. This completely saps any energy I have so no crafts. So we are on our second summer getaway. We are in Bridlington and lovely town in Yorkshire not far from Scarborough and Whitby. 1. First thing I noted. The boys could not get their heads round an open plan kitchen/lounge and dining room. They screamed for over an hour running up and down the 12 foot of the caravan. My poor neighbours must have thought … ‘Here come the chavs’ they must have only heard us shouting at the boys to be quiet. I did feel for the elderly couple that were on one side who clearly own their caravan and probably thought they would have a quiet weekend away. 2. The rain. We woke up to rain at home and it followed us here. Good job I packed the boys wellies. Well done me. 3. While we bought our shopping in the local supermarket there was an offer on trucks and tractors. I bought them as the boys are mad on all types of transport at the moment. Good job I did they have not stopped playing with theirs or their cousins since we got here. Well done me. 4. Smacking each and every button in a lift causing the singleton eye rolls which I can very much relate to. 5. 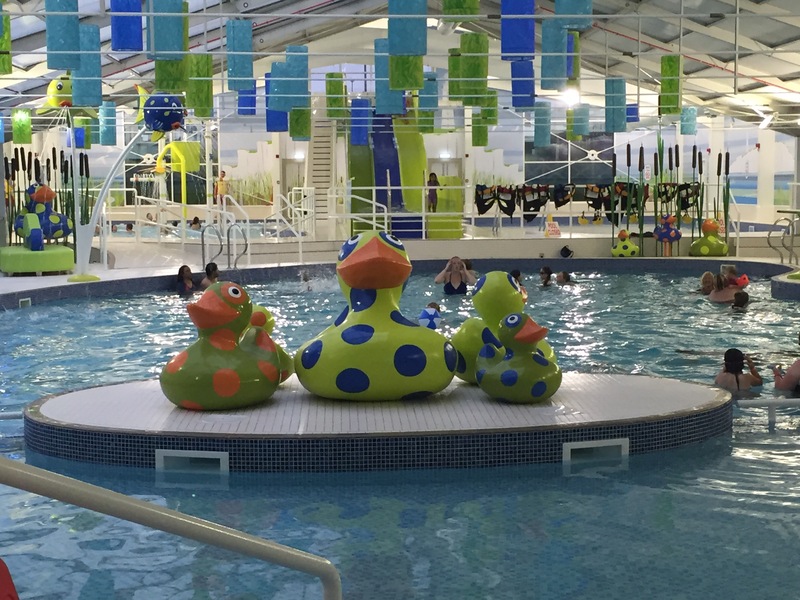 The indoor pool entertained them for ages! They did not and would not come out of it! 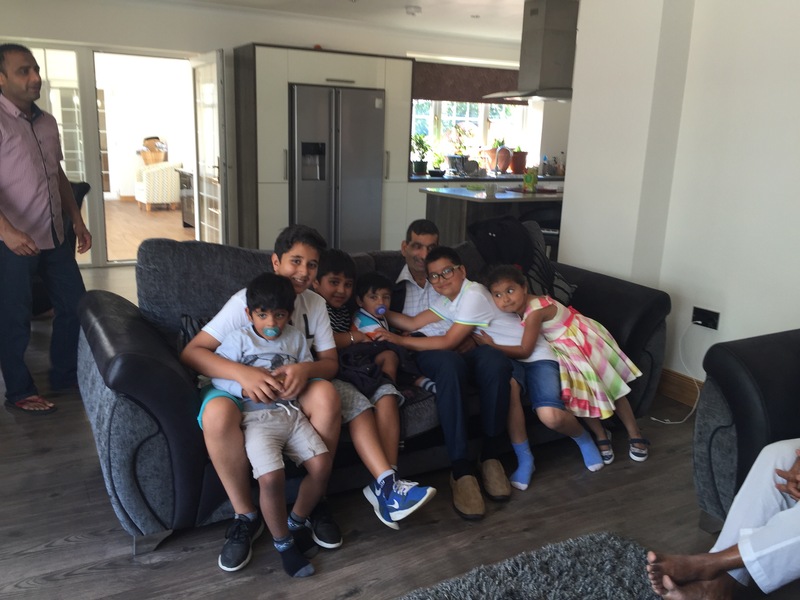 A long weekend was enjoyed by all and was enough for some serious amount of family time! Perfect! 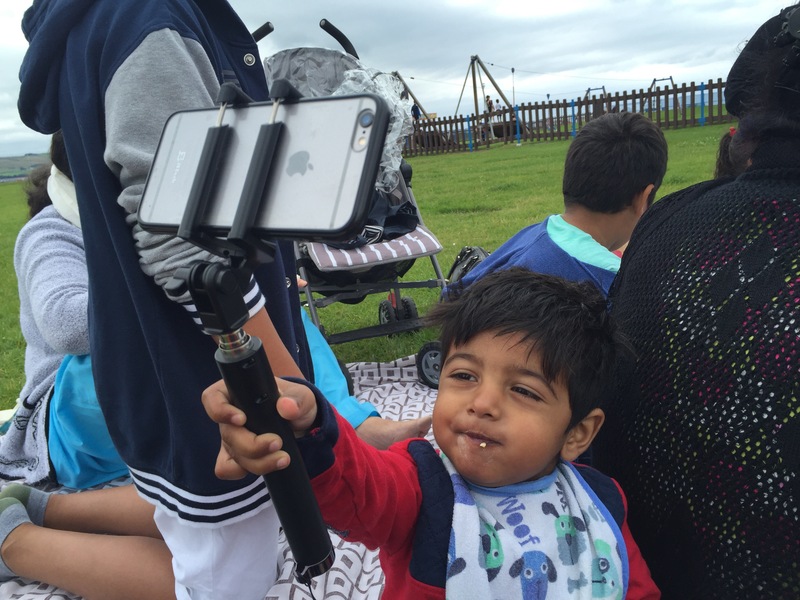 We spent 7 glorious rain free days (yes your read that correctly) in Ayr. It was fun, busy and with most holidays we now have included a night in hospital with one of the boys. We took the whole family to Ayr and when I say whole family I mean, my mother, and my parents in law. My sister also manged to come directly from Portugal where she was enjoying her first anniversary with her husband. My mums cousin lives there and its a beautiful place and we went last year and felt we needed to go again and take in its real beauty. So we packed up the cars and arrived ready to take in Ayr in all its finest. We had plenty of cousins and the cousins had children so there was plenty of distraction for everyone. 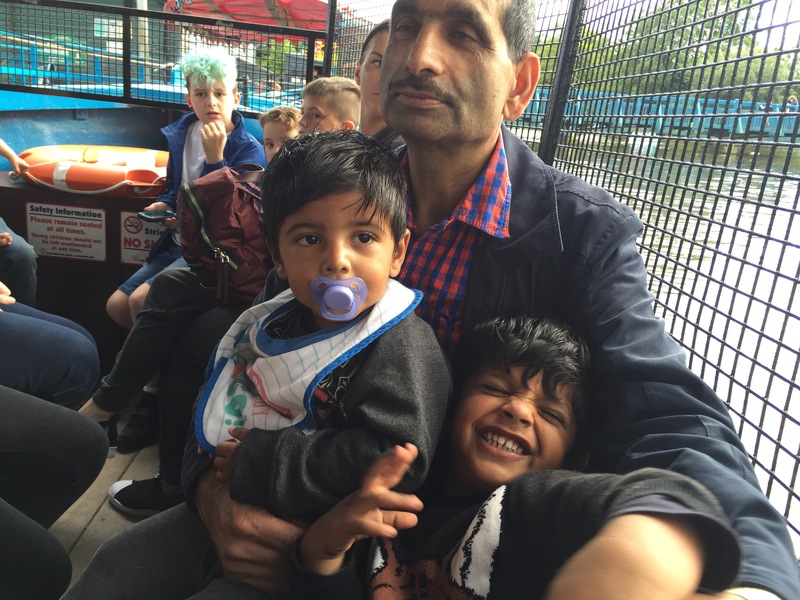 We spent a day in Stirling at a Safari Park which we all loved. There was plenty to do for all the family from the ferris wheel to adventure playgrounds to setting up your own private bbq. We had a cultural visit to the sikh temple that my parents wanted to do whilst we visited Glasgow so we went and saw the beautiful buildings as well as a dedicated museum to sikh history whilst we were there. Ayr also has its own beach with an enormous adventure playground that the children wore themselves out in. The views were stunning and it felt good to smell the sea air. The tide was out so lots of fun was had making muddy sand castles and plenty of tantrums when we had to pack up and return. Finally we ate. And did we eat. The family in Scotland live a good get together so it was bbqs, meals out, takeaway and huge meals for all and sundry. All in all minor minus the overnight in a hospital for a bug that the little one had caught everyone had fun and returned feeling that they had had a change of scenery and were refreshed. Its been a very eventful weekend for an autumn Saturday at the start of the term for me. You remember a few months ago I wrote about my excitement of being able to get a ticket for the Big Meet well the day soon arrived and it absolutely blew everyone away. 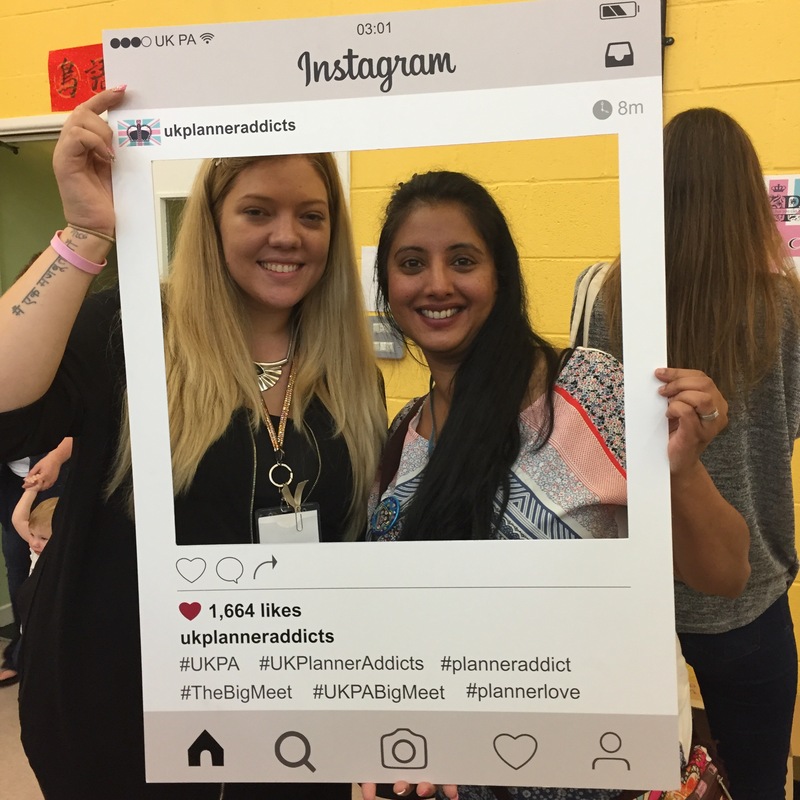 Earlier this year the UKPA team arranged for over 80 of us to meet up and enjoy our planners with similar minded people. As the planning of the day went ahead there was what can only be described as a snowball effect. The businesses that sell us the stickers, planners and ephemera started to show interest. More and more people wanted to be involved and by the time I arrived with my table 4 groupies the good bag was enormous. From brands such as Filofax (I ❤️ filofax) to Mrs Brimbles – my ever faithful monthly subscription box the bags were loaded to the brim. We were all given table numbers and seating guides weeks ahead so most tables exchange numbers and got to know each other beforehand. I was on table 4 and it was a great table, we laughed at each other, with each other and ate plenty of chocolate too! The day started off with a talk from Kristina Karlasson owner of Kikki K. She imparted her 11 rules which simply inspired me and the room full of women with their planners. There were lots of stalls set up who had heaps of planner related goodies for us all. It was just heavenly. The atmosphere around the whole event was just fun. It was the first time you felt you could go over and ask ‘can I see your planner’ without feeling like you are intruding into someones diary! There were UKPA awards where one of our very own Dani won the filthiest minds award. Very well won given it is very true. And lets not forget the raffle, there were so many prizes that had been donated that they raffles off names until they ran out of prizes. I ought to add here that I won an A5 Purple Finsbury I could not wait to come home and talk planner to my husband. And just like any other planner meet up there was the ultimate planner pile that everyone enjoyed. Whilst driving home I reflected on the day. Somehow a group of women who had mostly been online friends managed to meet up, have fun and begun real life friends. 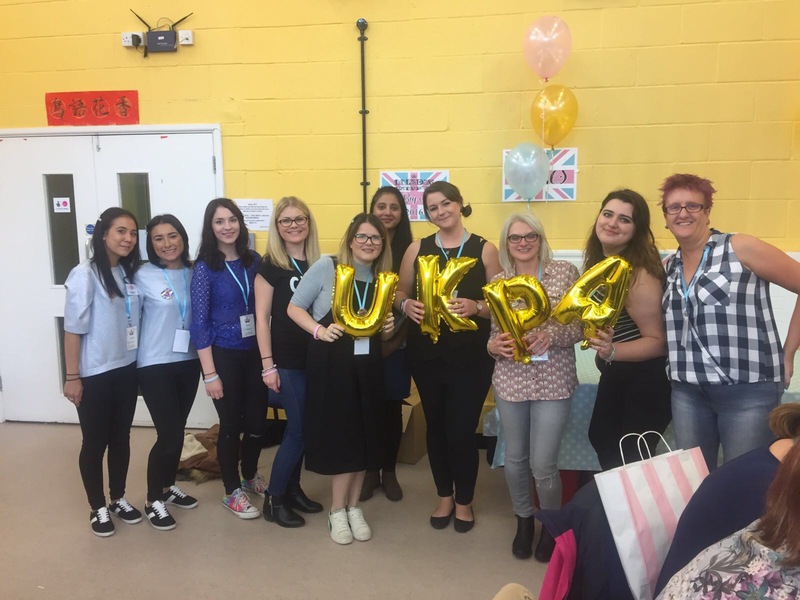 That in itself is an achievement for UKPA but also for every woman who was there. It was fun. It was relaxing and most of all you could feel the electricity of people just enjoying each others company and talking to one another as if they had known each other for many years. I also got to meet Steph who organises the group which was fab. 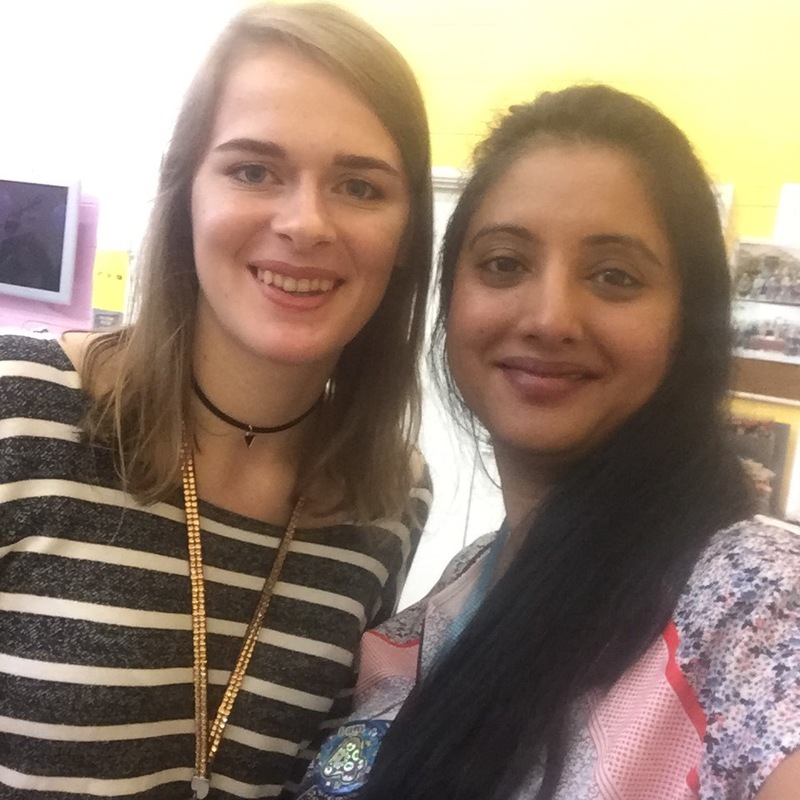 I met Daisy Martin off mygreencow who I follow on YT and the wonderful Anna Brimbles to thank her for my stationary box that arrives each month. It was good to put names to faces and to see the real them. 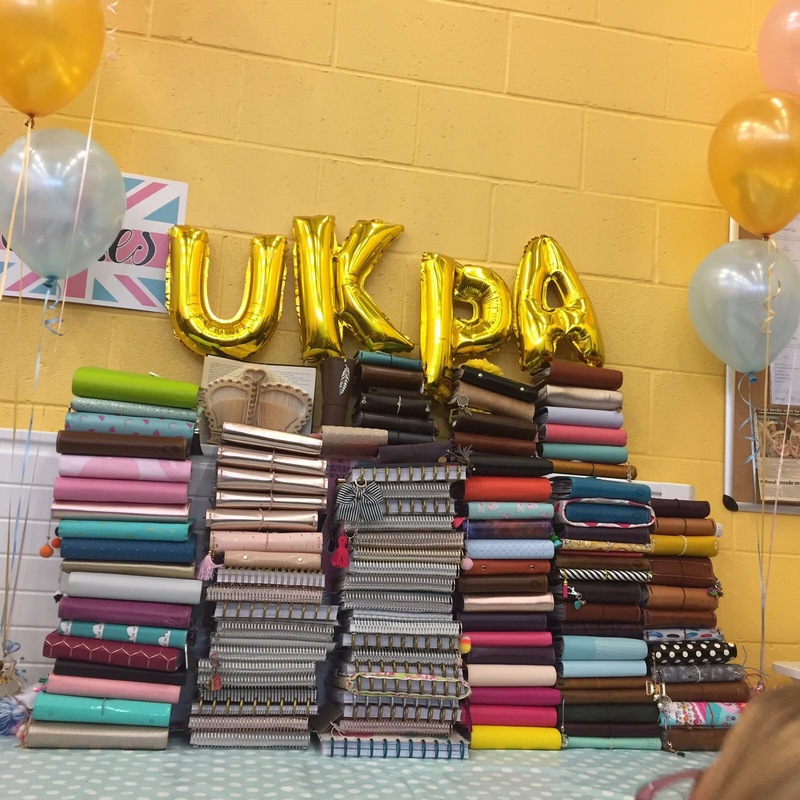 If you are a planner nerd and love anything to do with planner goodies UKPA has it all. As for next year a bigger venue is most certainly on the cards … here’s to 2017! My initial reaction was to roll my eyes and think thats easy as I am the one the does all the ‘logistics’ but then the more I thought about it the more I thought there is actually alot of truth to this statement, more than I care to admit. It is the summer holidays and I am trying my hardest and damnest to get all the odd jobs done, almost regimental. And I am shattered. Then I get ratty and then emotional. Why is it then a surprise I cannot relax? Is it a mum thing I was thinking? Is because you multi task so much that it makes you ‘switched on’ all the time? Is it because the boys are very similar ages and therefore by default there is always something to do? Whatever the reason or reasons, I need to slow down, and enjoy the fruits of my labour more. It has been a very busy and exciting week. It was the schools data entry which meant there was a meeting with the Principal. Then there was all the coursework that needed preparing for external verification so work had been hectic but it is that time of year when the summer holiday is nearly with in sniffing distance as my very good friend Nicola used to say. Whilst work has been hectic. 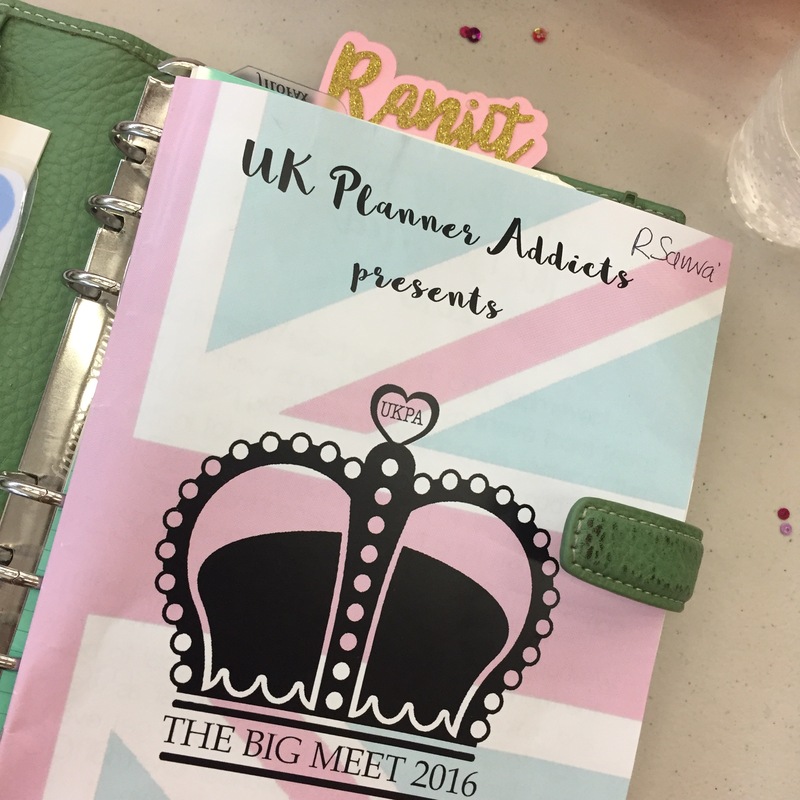 The excitement has been mouting on a facebook group called UK Planner Addicts. The admins have arranged for a meet up in Birmingham and the tickets went up for sale at 1pm on Friday ehich posed a real dilemma. As my class finishes at 13.10! After alot of multi tasking and a great class room activity I managed to bag a ticket! I am so very excited! It is very local, there will be plenty of You Tube personalities will be doing workshops and giving support on how they use various craft supplies so a real coup. Apparently they sold in 4mins! Personally I am hoping to meet some locals whom would like to meet on a regular basis so I can meet like minded planner addicts! There seem to be lots of teachers who also are in the group and it would be nice to catch up with some. ( stationary and teachers so go together!). Since purchasing my ticket I have ordered some countdown stickers and a Lifedesigner Planner which had a spring bank holiday special offer. Good times ahead I feel!! 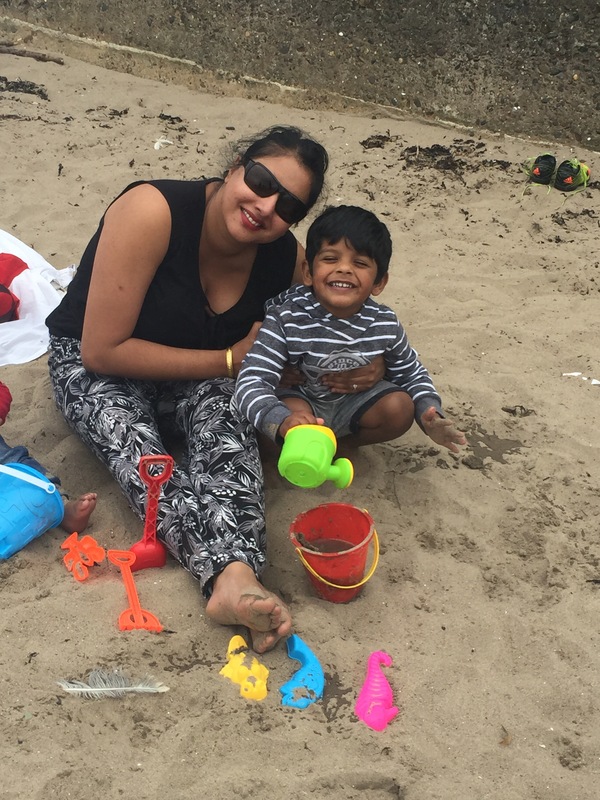 So a week or so ago I wrote about Express Errands, whilst jusggling nursery, work and shopping the last few days I felt the need ti wrote another blog. It all started this Thursday evening, I completed my after school revision session in which I had three people from within the school catch me for various things whilst trying to install the importance of profit & loss accounts to the students who have suddenly realised that the exam is not far away. As soon as I had finished I rushed to the nursery and picked up the 3 year old. I then shot back and picked up my shopping as I do a click and collect order and it works for me and I needed to get it during my allocated slot. Then I had to pick up my youngest from my mother in law who kindly looks after him during the week. We had a quick dinner and then I rushed back and got the bags ready for the following day as Friday both boys go to nursery. Then I attempted to get them both to bed and by 10pm – they were down! Friday morning, I managed on my own as my husband was working away to get them both to nursery by 7.30am. Then got to work ready to deliver a short talk to the teaching staff of my inspirational teaching methods (ha) and then onto lessons for the rest of the day. I left work at 4pm again back to nursery for the pick dodging the rain, popped into Morrisons for some last minute additions to dinner and made it home for bathtime at 6pm, which we managed and had them ready for pizza night at 7pm. By 9pm I was done, they were fed and whilst putting the youngest to bed fell asleep next to him. A whirl wind to the end of the week not to mention a sober one … Now thats Express Errands. Anyone who does this on a regular basis gets my appaluse, I take my hat off to you! This is the amazing subscription box called Brimbles Box that is put together by the very creative, happy, and the most thoughtful and positive woman I think I follow on all my social media, Anna Brimbles. She creates ephemera, stickers and other stationary which is just jaw dropping. You receive this parcel once a month at a cost of £15 plus postage. Anna also has a facebook page aptly named Mrs Brimbles Happy Place.9. It is full of stationary wonderfullness that anyone who enjoys looking at other stationary addict hauls will enjoy. The Brimbles Box has lots of ephemera that I will most certainly use in my smashbooking and penpal decoartion. There is a theme each month and this months theme is for all the planner nerds out there, Anna has a fantastic eye of putting things that fit well together into the box which is why it is a great subscription. There are different boxes you can order. There is one specifically for Personal planners, and one for the A5 planners, this of course is if you have a filofax, and she also has a shop that sells the items that are in the Brimbles box separately if she still has these in stock. I have done a video unboxing this months box over on you tube on my channel (linked down below) so if you want to see what exactly came in the box please have a look, like and subscribe. This is a teaser of only some of the stickers that arrived in my happy mail from the USA. I am so jealous as the stationary addicts over the pond have such a arge vaiety of shops to get their ‘fix’ from. This subscription box comes in two sizes a small one for around $7 and then this one which is approx $15. However if you want to get a discount I can refer you and you will be able to get a discount. If you do please leave a comment and like the page and I will getback to you on how you can get your discount. The thing I like about this subscription is that I have very little time. I do not have the time to go out and about sticker finding. I am also very impatient I dont really have enough creativity to buy sticker themes, as I like in a way for the stickers to come and find me. I always feel that when I am presented by lots of stickers I never really can select what I really like or anything that goes well with other stickers. This makes buying stickers really difficult. By having these beauties arrive once a month allows the headache to be taken out of the equation. I dont have to worry – have I spent another few pounds on something I am not keen on discussion I have with myself when I am buying stickers. This means when they arrive I can think about how I am going to decorate my smash book and how I am going to decorate any out going happy mail that I maybe thinking about. I also like the fact that there is a variety of types of stickers and the size of the stickers also vary so you really can use them on as many different things as possible. I have done an unboxing vide of the April sticker pack if you would like to see what exactly has come in the pack here. If you like the video (link below), please give it a like and subscribe for videos of a similar nature. So lets talk about efficiency of the person who looks after the child (children). This morning we awoke at 6.30am. Neithet boys wanted to get up. The youngest was in nursery so I had them up and dressed along with some temper tantrums in the car by 7.30am. We dropped off the little one and raced home for a quick breakfast as we both had our dentist appointments at 9.30am. This has been the log awaited first visit from the eldest and so far he doesn’t do well with first experiences. So both my husband and I have been introducing him to the idea on a daily basis since Easter so he knew it was coming. He managed just fine and was given a Thomas sticker for being so good. So out of there by 10am and that was both of us so on a roll. I had managed to get display for school ordered from a local company which I had been meaning to pick up for weeks so we shot over to pick that up. By 10.30am I was sitting in the beauticians chair waiting for my waxing to be completed. I am now at the hairdressers and its 12.00 ready for a long awaited hair cut. My eldest has shown superb behaviour although I can see he is ready for a nap. I feel like I have done a days work but know that this is what many parents who are the childcare do everyday. Whilst this is definately not me I totally support anyone who says its a job. I am shattered and My eldest has eaten all his fruit snacks, and even some chocolate that he totally deserved. Never mind him needing a nap I most certainly do! Express Errands indeed!